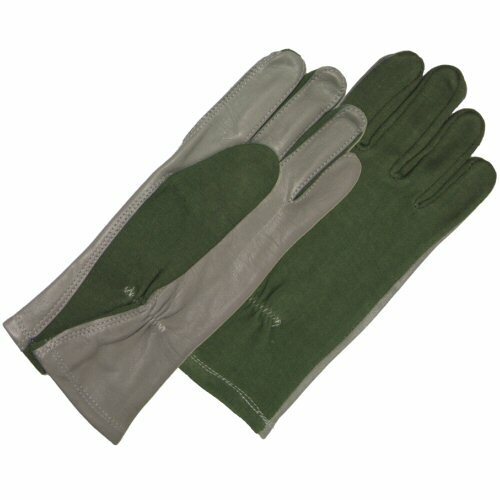 Made to military specification, the Bulle flight gloves are made of DuPont Nomex material which is flame retardant. The palms are made of soft leather which enables this glove to maintain excellent dexterity on the fingers, thumb and palm of hand. The gloves have a long gauntlet to cut out draughts travelling from the wrist into the arm. The gloves are gathered with elastic on the front and back of the wrist for a better fit.